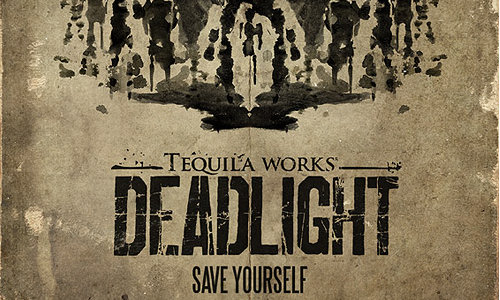 Deadlight was developed by Tequila Works and published by Microsoft Studios. 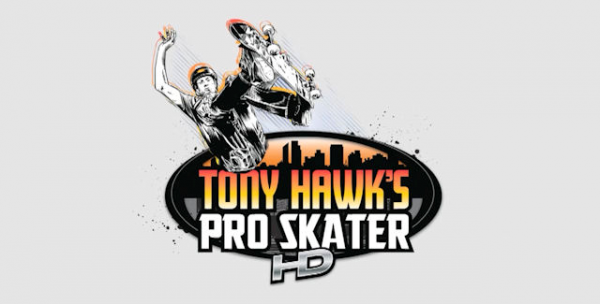 It was released on August 1, 2012 for 1200 MSP. A copy was provided for review purposes. 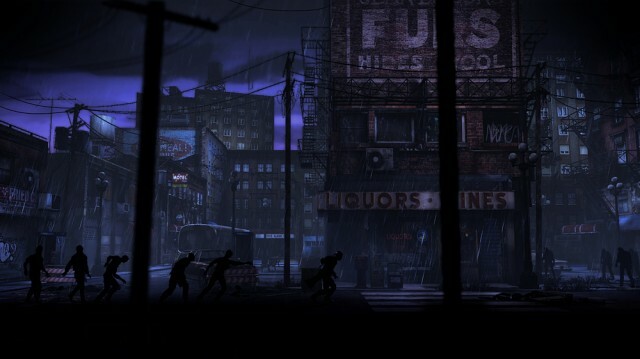 Deadlight is a 2D platformer with a survival horror bent, at least in theory, but we’ll get to that shortly. You play as Randall Wayne, a survivor of some kind of apocalyptic event, which has caused the dead to rise. Though they act like zombies, these particular undead have been branded “Shadows”, represented in-game as silhouettes with glowing red or white eyes. Randall is searching Seattle for his wife and daughter, who he’s been seperated from since the start of the disaster. When the game begins, Randall is with a group of survivors, but they quickly go their seperate ways as Randall begins the search for his family. Beautiful disaster – Randall’s journey takes place on a 2D plane, but there is still 3D depth within the world, with the wrecked streets and buildings of Seattle stretching out into the background. This depth doesn’t come into play too much as enemies will shuffle in from the background to get you. But you cannot interact with anything that is not on the same plane as Randall, save for a shelf you can use to block a doorway. These landscapes are almost always visually interesting, and often beautifully rendered. Assuming you can find beauty in destruction of course. The soundtrack is also noteworthy, with some pieces near the end of the game being especially effective and memorable. Satisfying platforming, when it works – The controls in Deadlight are tight, for the most part, there can be times when they don’t do quite what you want. This is usually in particular action-packed sequences that require quick reactions. Outside of this however, you’ll always feel like you have full control of Randall and executing a cool series of jumps perfectly is greatly satisfying. 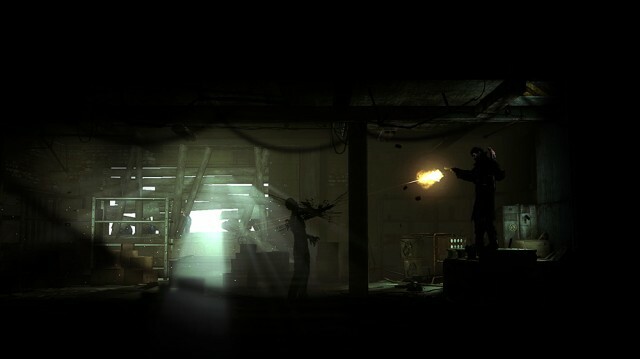 Aiming for the right target – Deadlight is very much going for the same tone as The Walking Dead, this is a world where humanity has fallen and the worst side of human nature shows itself. As with many of the best post apocalyptic story, humans are portrayed as the real monster here. There’s some dark moments throughout, though (as mentioned below) it falls short, Deadlight comes close to capturing the tone it’s going for. 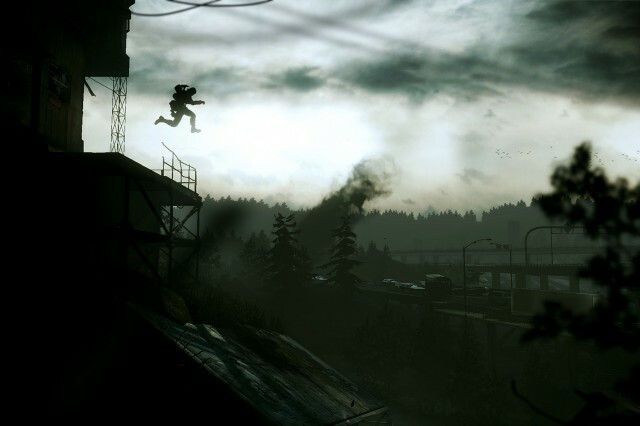 Trial and error – Scripted sequences make up a fair amount of Deadlight, especially the second half. Sadly these are often plagued with numerous examples of instant-death, which can only be avoided with prior knowledge or savant-level platforming skills. This leads to tediously repeating sections over and over, hearing characters repeat the same lines and generally not having a good time. It’s not that the actual platforming is hard, it’s just that it’s often setup in such a way that you’ll die before you can react. Situations are often setup to imply (or flat out instruct) that you should be running at full speed or jump at a certain point, only to have doing so result in instant and unavoidable death. There are even cases were collectibles are specifically placed so you are very likely to die if you try and collect them, which will no doubt leave collectible junkies even more frustrated than most. Clunky combat – There isn’t a huge amount of combat in Deadlight, it probably makes up about a quarter of the gameplay, if that. This is something to be thankful for, as the majority of the combat comes in the form of using a fireaxe against Shadows. There’s no real challenge, but you’ll die a lot all the same. The reason for this is that the collision detection is awful and is made even worse when Shadows are coming at you from the background. Their transitions from background to your plane seem buggy, there’s a jerky quality to them that seems to give them a perfect chance to attack you but doesn’t allow you to do the same. Even without that, there’s no consistency to the melee attack. Randall has a shove move which knocks Shadows onto the floor so you can hit a final killing blow, but there doesn’t seem to be a full proof way to execute it. So you’re left just mashing the attack button and hoping you knock them over, all the while draining stamina. Arbitrary limitations – That brings us to another big issue with Deadlight: there’s far too many arbitrary and inconsistent moments. The aforementioned stamina meter has almost no bearing on gameplay, aside from a few random spots. It will drain when hanging from some ledges, when running or as mentioned above when swinging your axe. The first two actions will never drain more than a tiny bit of your stamina, unless you are playing the game in an incredibly unusual way. So it’s hard to see why the system exists, as it is all it does is make the already bad melee combat even worse. Another limitation is the inability to swim, not a huge one but we found it a bit hard to swallow. Randall could give Nathan Drake’s climbing skills a run for their money, but apparently he can’t swim, in fact he doesn’t even try to. As soon as he hits a body of water, he just gives up and lets himself sink. Poorly executed story – You might remember the initial teaser trailer for Deadlight, it seemed to promise some cool in-game cinematics. Nothing like this is in the actual game, instead almost all of the story sequences are told via motion comic cutscenes. Not only are these not very effective with bad acting and equally bad writing, the videos are highly compressed often making them a pixelated mess. Some of the narrative elements are actually interesting, there’s some really dark stuff here but it’s hard to get invested because the presentation is just so shoddy. The writing is often inconsistent in tone and suffers from awkward phrasing in a lot of places, and even odd moments where a line will be spoken in-game only for it to be repeated in a cutscene two seconds later. 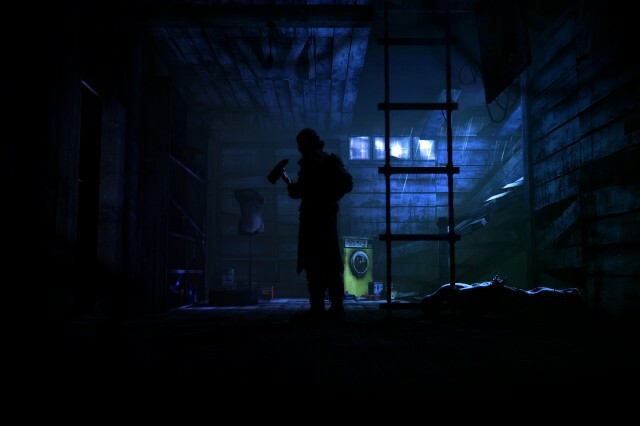 Deadlight is a game full of good ideas built on solid game mechanics, but it is bogged down by poor design which seems determined to frustrate more than entertain. There’s just not much fun or entertainment to be had here, with a poorly written and presented narrative it’s a sadly disappointing first try from Tequila Works.